The Superior Court of Monterey established its DUI Treatment Court in October 2015 and has graduated 24 people from the program. More than two dozen Chinese officials tasked with recommending judicial reform in their home country visited the Judicial Council’s San Francisco office last week. At its public meeting on March 24 in San Francisco, the Judicial Council approved $23.5 million in grant funding to support programs to make local courts more efficient, accessible, and easier to use. At its March 24 meeting, the council will consider approving $23.5 million in grant funding to support programs to make courts more efficient, accessible, and easier to use. SAN FRANCISCO—On the second day of its two-day public meeting on August 26, the Judicial Council approved recommendations from its Court Facilities Advisory Committee that the schedules of active new courthouse projects be modified and put on hold until adequate funding can be restored. Chief Justice Tani G. Cantil-Sakauye announced today the creation of a Judicial Council working group to develop a competitive grant program supporting the Judicial Council in awarding funds to courts for innovative and efficient judicial services and programs. May 9-13 is Juror Appreciation Week, but courts are making the jury system better all year with check-in kiosks, text reminders, and web-based services. The Supreme Court of California will begin live webcasting of its early-May three-day oral argument calendar session in San Francisco, beginning May 3. 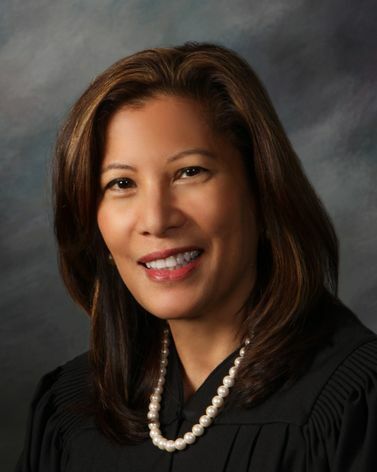 The decision to webcast the court's oral argument calendar sessions was announced by Chief Justice Tani G. Cantil-Sakauye in her 2016 State of the Judiciary Address to a joint session of the California Legislature in March. See photos from the Futures Commission's recent session where members of the public comment on proposals to make California courts more efficient and effective.